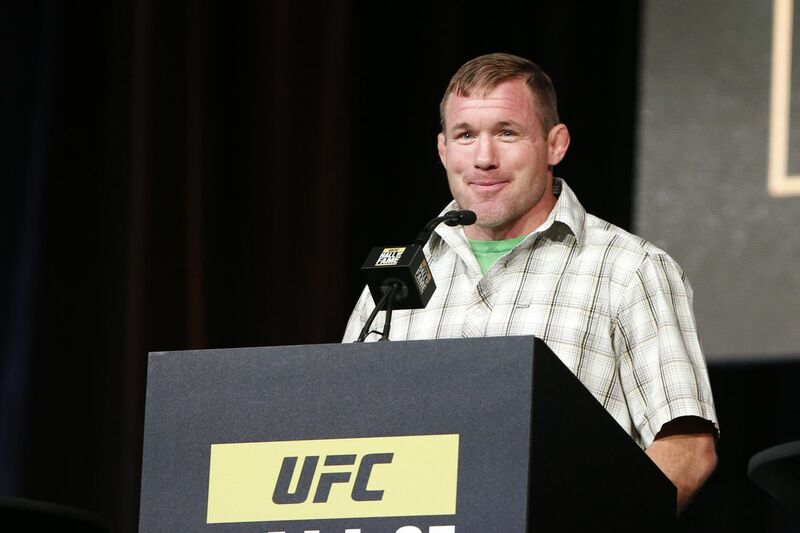 UFC legend Matt Hughes was injured in a truck accident Friday, UFC president Dana White told ESPN.com. White said Hughes was airlifted to a hospital after a truck he was in collided with a moving train. White said he has spoken to Hughes’ family and they are heading to the medical facility where Hughes was taken. TMZ reported that law enforcement sources said one person was taken from the crash with serious injuries, and White confirmed Hughes was that person. The UFC tweeted a graphic, signifying Hughes is in its thoughts Friday. Hughes, 43, is a UFC Hall of Famer and one of the greatest welterweight champions in the history of the promotion. The Illinois native held the title from 2001 to 2004 and then again from 2004 to 2006. Hughes retired in 2011 with a 45-9 record, though recently talked about the possibility of a return to the cage. He owns wins over the likes of BJ Penn and Georges St-Pierre.